Last fall, Romanian Team ARCA ventured out to the Black Sea and made an attempt to test their high altitude solar balloon and the Helen rocket. 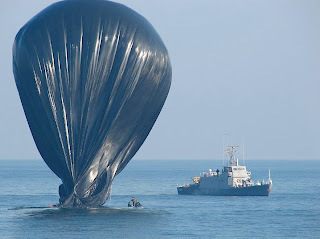 They did an amazing job documenting the attempt, despite issues that arose with the balloon which ultimately thwarted their launch plans. The team plans to continue regular video blogging as they make plans to re-attempt the launch of the balloon and the Helen rocket, now under the name "Mission 4". This is tentatively scheduled to take place within the next 30 days or so, so make sure to check up on them often. This team has told us that they really appreciate comments and feedback, so please drop them a quick note if you have a chance.